Growing up, I was obsessed with all things that had to do with submarines and sea monsters. I was a huge fan of Captain Nemo, Jules Verne, and The Land that Time Forgot (1975). 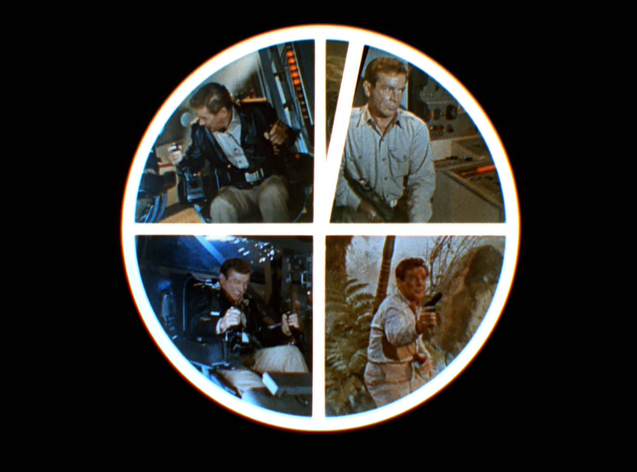 Accordingly, the Irwin Allen science-fiction series Voyage to the Bottom of the Sea (1964 - 1968) was also right up my alley. 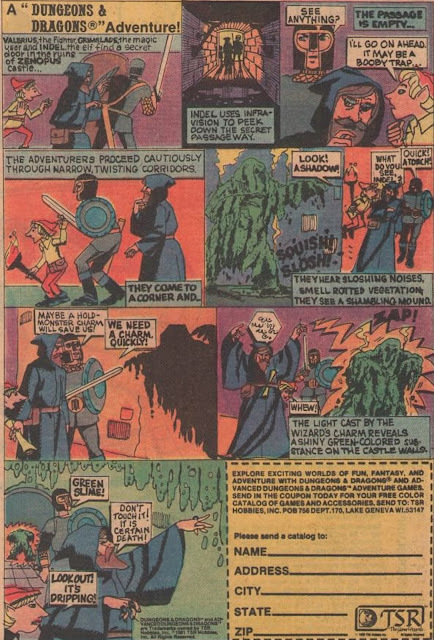 As a kid, I loved all the sea monsters and other weird villains featured on the series (including lobster men, leprechauns, and killer clowns), but as I got older, I came to appreciate the restraint and more-reality based stories of the black-and-white first season. One thing remains unchanged:, even today I love the design of the Seaview, the series' advanced submarine. 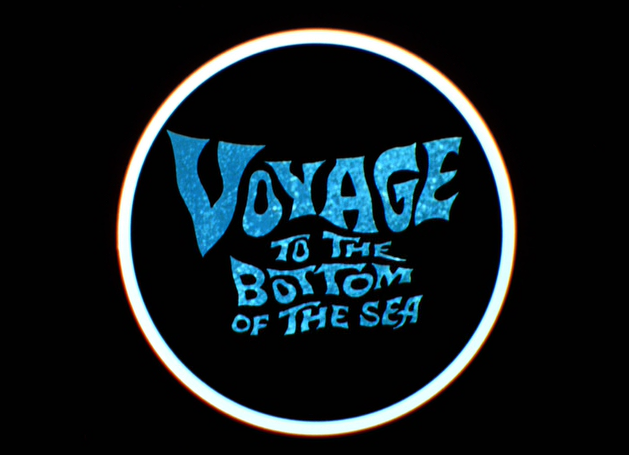 Voyage to the Bottom of the Sea's final season features a great (if simple) introductory montage that, much like its predecessors, expresses many of the key aspects of the series. 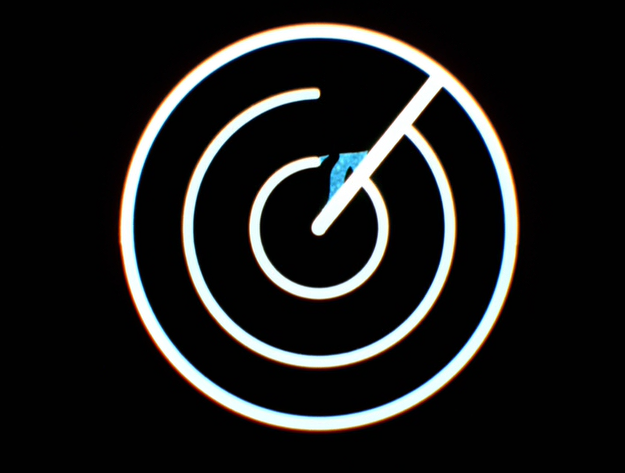 First, the titles are depicted as if on a sonar screen, which is a nice touch given the subject matter. 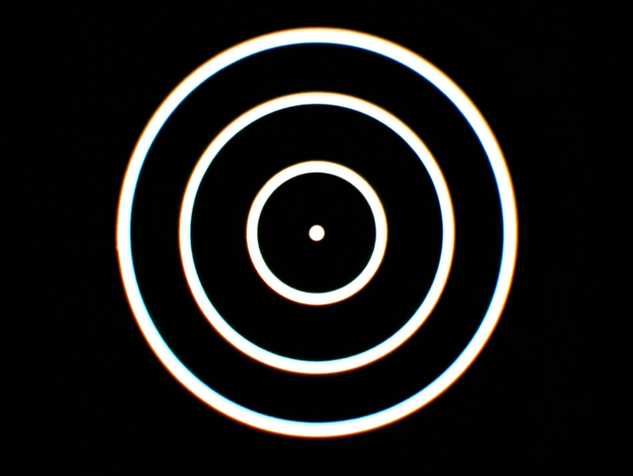 Notice how the series title, featured in the card below, has a watery coloring and font. 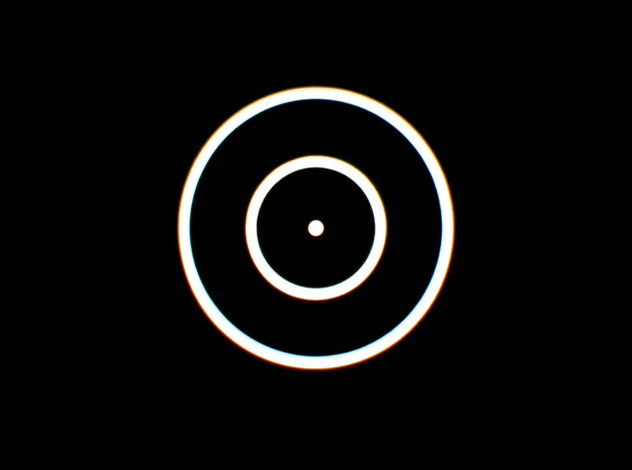 Next up, the sonar screen presents images of our cast-members in scenes revealing hard-driving action. 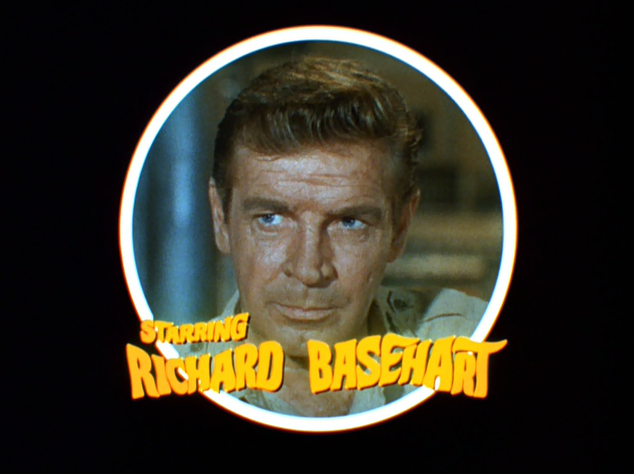 First up: Richard Basehart as Admiral Nelson. 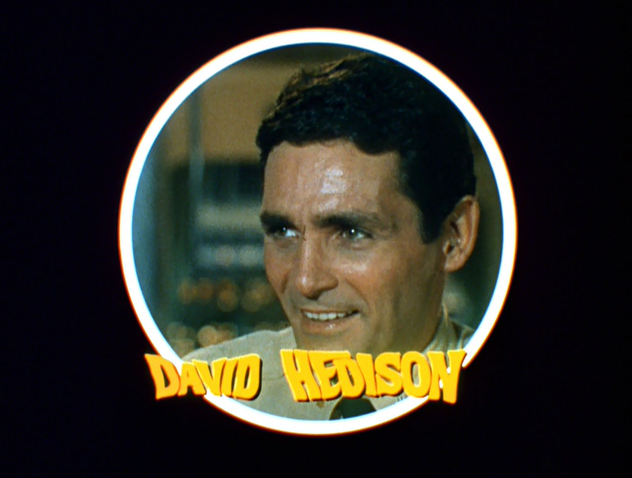 Next, we meet co-star David Hedison, as Captain Lee Crane. 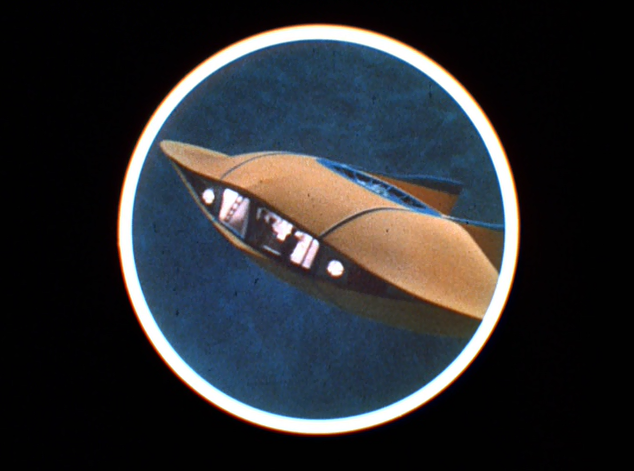 Next, an image of one of the most popular "characters" on Voyage to the Bottom of the Sea: the amazing flying sub. As a kid, I always wanted (but never got...) the model kit of this super-color sub/plane. 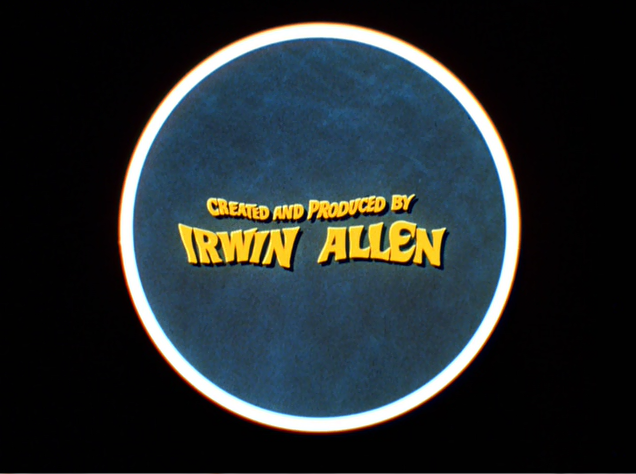 In the following card, we meet our creator and producer, Irwin Allen, the man behind Lost in Space (1965 - 1967), and The Time Tunnel (1966-1967) as well. 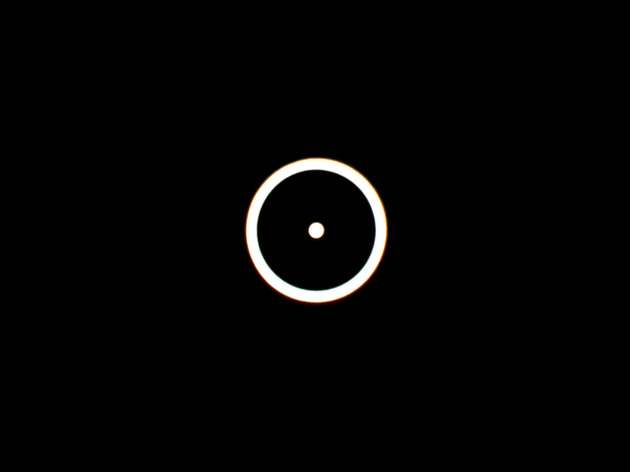 Below, you can see an earlier season's version of this opening and closing montage, which has the added value of featuring the beautiful Seaview.